Those who enjoy Greek mythology will love WMS Gaming’s latest slot, Centaur. The slot is built around the mythical beast which has the top half of a human and the back half of a horse. The slot will feature 5 reels and 50 paylines. The symbols on the reel include the Centaur, shields, lions, bows and arrows, griffins, instruments and the poker card symbols. 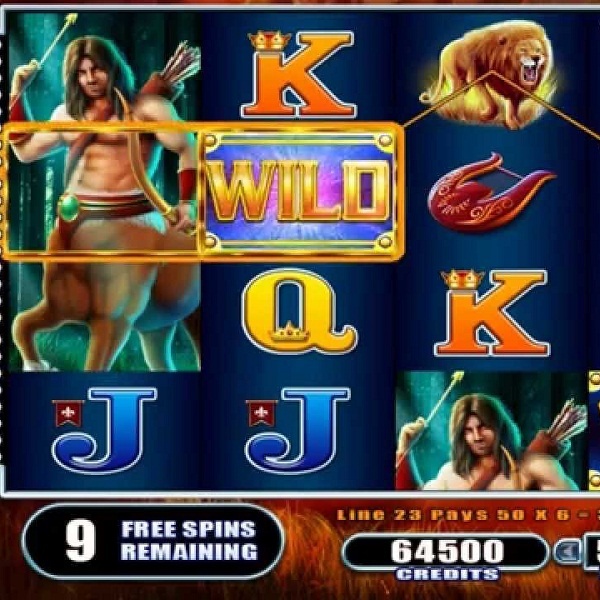 The slot will also have a free spins feature, wild symbols, stacked wilds and more. The game’s bonus feature awards players with free spins on special reels featuring extra stacked symbols and wilds. The slot is housed in WMS Gaming’s latest gaming cabinet. It features a high resolution touch screen and amazing sound amplification. The slot was previewed last year and it is expected to be released to casinos any day now.